The Fonteinskloof farm was purchased 5 years ago to promote the hobby of converting 200 hectares land strategically situated below the Langeberg mountains where water was naturally available from the regular rainfall. The land, however was undeveloped and unproductive where alien vegetation had invaded creating a major botanical problem. The ultimate aim was to re-establish the original, natural habitat and the creation of 200 hectares of beauty where man, animal and the natural indigenous habitat could live in harmony. The first phase of converting and renovating the dilapidated buildings into simple but comfortable dwellings has been completed and a swimming pool has been built to promote relaxation. The entire farm is fenced with 1,8m high game fencing approved by Cape Nature for game farming, besides general mixed farming. Grass fields have been established, erosion eliminated, dams built with suitable irrigation system and trees and flowers planted. The second phase will now commence in establishing walking trails, protecting the indigenous flora and fauna and gradually replacing the botanical species classified as alien invaders. 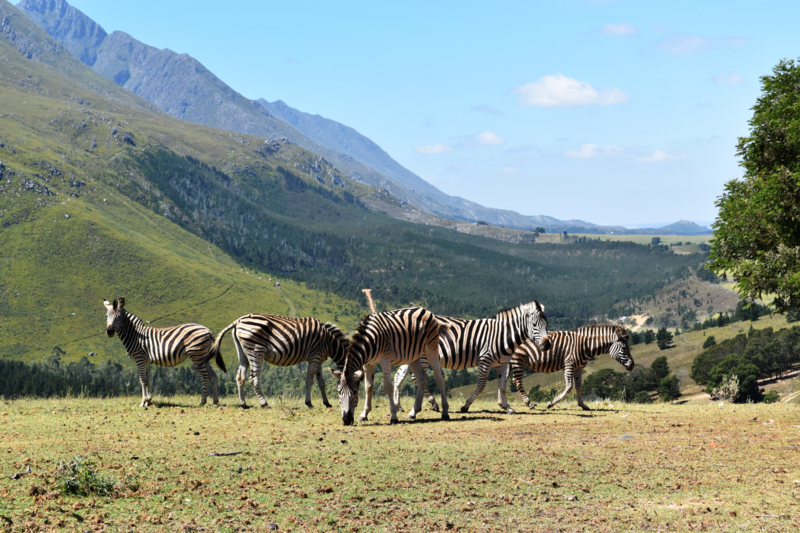 More trees, flowering plants and grasses will be planted to promote natural grazing as part of the plan in establishing 200 hectares of natural beauty in one of the most beautiful areas of the South Western Cape and South Africa.